The extra heavy-duty RC6615 Rotary Cutter has that extra muscle to cut in extreme conditions and still give you the quality cut you expect from Land Pride. 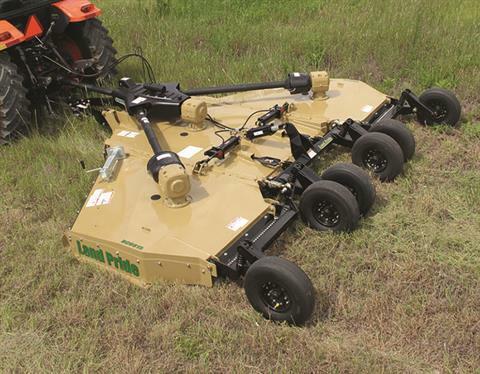 With a cutting capacity of 4.5 in., the RC6615 allows you to tackle a variety of obstacles when cleaning neglected pastures and fields or maintaining roadsides. Both the 540 and 1000 RPM models offer pull-type self-leveling clevis hitches and rugged gearboxes that are capable of handling heavy cutting applications. The springs located in each wheel arm allows the shock loads to be minimized throughout the entire axle and the independent springs allow for a smooth ride through the roughest field. 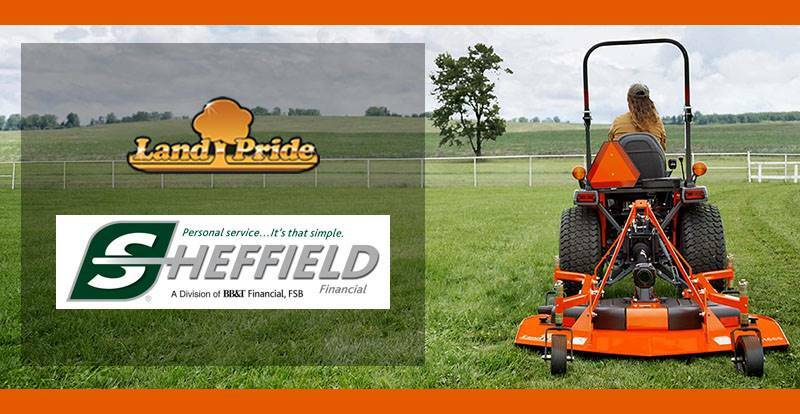 SURPASSED RUGGED INDUSTRY STANDARDS: All Land Pride cutters have been designed and tested and meet rigorous voluntary testing procedures specified by ANSI. LED SIGNAL LIGHTS: LED lights are bright, long lasting and resistant to vibration, unlike the incandescent lights. DRAIN HOLES IN WHEEL RIMS: Allows water to drain from wheels mounted on folded-up wings. Helps prevent paint deterioration and rusting to the wheel rims. SELF-LEVELLING HITCH: Reduces drawbar wear by keeping hitch level while going through ditches. Normal Transport - 109 in. Oil Capacity - Divider Gearbox - 5.5 pt. ; Center Deck, LH Deck and RH Deck Spindle Gearboxes - 10 pt.